Costs – Learn more about tree removal & maintenance costs in Albuquerque: tree removal cost varying based on location, how stump removal cost varies, and the average New Mexicans pay for tree maintenance (pruning, cutting & trimming). FAQs – What do you know about tree maintenance regulations in Albuquerque? Find out that and more, including popular thriving trees in the city, the best time to trim or remove trees, insects populating the area’s flora and plant hardiness by zone with accompanying map. Services – Find a tree service specialist in your part of Albuquerque! How Much Do Tree Services Cost in Albuquerque? While Albuquerque, New Mexico is located in the desert, there are still trees that grow in the area besides cacti. “Tree service” includes stump removal, tree removal or tree maintenance, like trimming, pruning and cutting. There are a variety of factors that can affect the cost, but we’ve included the averages. How Much Does Tree Removal Cost in Albuquerque? Homeowners in Albuquerque will pay from $318 to $456 for tree removal services. There are a variety of factors that determine this wide price range. The height of a tree may require specialized equipment. Trees that have grown around power lines are dangerous to remove and also take more time to remove as each branch must be carefully roped and slowly lowered to the ground. Complex root systems also take time to excavate. The average they will pay will be $387. How Much Does Stump Removal Cost in Albuquerque? Costs vary for stump grinding depending on the size of the stump, and they are determined by calculating the average material costs, average hourly labor wages and unit labor productivity rates. For the grinding of large tree stumps in Albuquerque, one can expect to pay anywhere from $82 to $139 per stump, and mid-size stumps generally range from $63 to $79 per stump. For stump removal, which involves the complete uprooting of the stump, the cost will be between $200 to $300. The costs for the maintenance of trees also vary. Some species of wood are harder to cut, grow in hard-to-reach branch patterns and have more foliage to prune. Prices are usually quoted per tree or shrub, and average cost ranges from $275 to $365. If there are less branches that need pruning away or regular cutting, it will cost less and vice versa. The average price will likely be around $320. We’ve compiled the following tree service tips and resources to help you prepare for your upcoming tree removal or maintenance project and to help answer some of the more frequently asked questions about growing trees in the Albuquerque area. Living in a desert climate can be confusing for tree growing, and it’s not like having a thorny bush in the backyard is the best decoration to look at it from the back door. 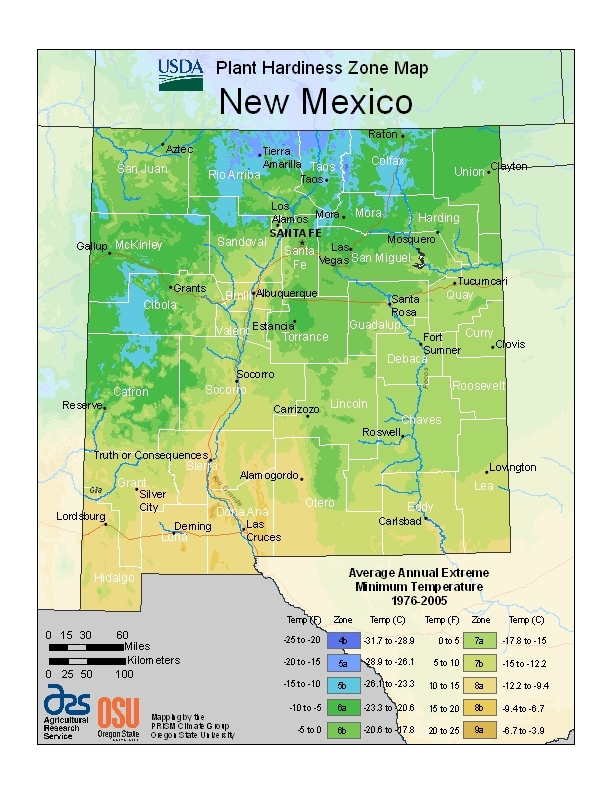 The best months for tree removal in Albuquerque are February, March and April due to the trees just starting to come out of winter temperatures, meaning they’re still mostly dormant and optimal for heavy pruning and removal. If you’re considering planting trees on your property, exercise caution when planting under a power line. Power lines are on deeded right of way, and the power company has the right to trim trees if they present a hazard. Trees that grow higher than 18 feet just may receive an unattractive trim from the power company. Due to the soil makeup and climate, it can be difficult to maintain the Japanese cherry blossom (‎Prunus serrulata) tree in Albuquerque. This tree requires a lot of water and does not tolerate the dry climate well. The borer and soil pathogen also cause what is known as cherry tree decline. On the flip side, the Austrian black pine tree (Pinus nigra) does well in the regional climate. It’s tolerant of the alkaline soil and high temperatures. Scientifically known as the pinaceae pinus edulis, the pinyon pine is the state tree of New Mexico. It is also referred to as the Colorado pinyon. This pine tree produces the pinyon nut, which is edible. The pinon reaches from 10 to 20 meters in height with a bark that is scaly and furrowed, and its needles are in pairs. The cones are globose, and pinyon jays pluck the seeds from the cones as a food resource. It’s often used as a Christmas tree! There are a number of trees that do exceptionally well in Albuquerque. The desert willow (Chilopsis) is a flowering tree and needs very little water to survive. The colorful purple and white flowers make it a top pick for gardeners who like to add some color to their yard. The gambel oak (Quercus gambelii) is another good pick because it has attractive white oak leaves and does well in the arid weather. The honey locust (Gleditsia triacanthos) adds a bouquet of yellow flowers and is hardy against dry weather. It can grow up to six feet tall and is ideal for lining a walkway. The New Mexico olive tree (Foresteria neomexicana) is also attractive and can be pruned into a shrub for a low-maintenance hedge in a garden. The mountain blackcherry (Prunus serotina) is another common tree in Albuquerque. 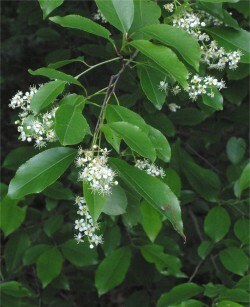 This deciduous tree grows from 15 to 30 meters, and its leaves are simple, featuring white fragrant flowers. The fruit is a drupe and readily eaten by birds, and it is also ideal for making jams and cherry pies. One of the most common diseases affecting fruit trees is the fungus cytospora, which enters the tree through pruning cuts or wounds. A sign of this tree disease is sap oozing out of the branches. Unfortunately, the only treatment is to prune out dead branches and keep the tree well-watered. Crown gall is caused by the bacterium agrobacterium tumefaciens and affects pecan trees. The most common symptom is the presence of tumors or growth on the roots. 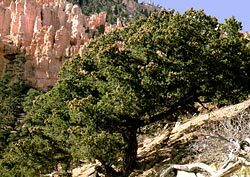 Armillaria root disease typically affects the popular pinyon tree. The diseased tree will display yellow needles, and mushroom growths spring up at the base of the tree, where it begins to feel spongy to touch.